OYA is a fierce warrior who is said to raise the armies of the dead as her soldiers. She wields lightning and rides the winds into battle, often fighting with her machetes in defense of those who call upon her for help. Write, 9 times, on a piece of paper what you want – be very specific! Write the same thing 9 times. Place the glass jar candle on top of the piece of paper. 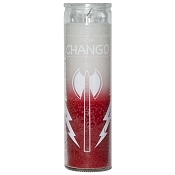 Light the candle for 9 consecutive nights in total. Each night it should burn for one hour. No less than one hour. After 9 days, you can put the candle away. 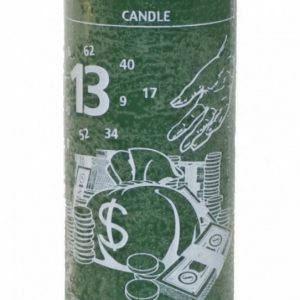 This candle can be re-used for other rituals. BUT, during an active ritual, it can only be used for one purpose…that which you want most.